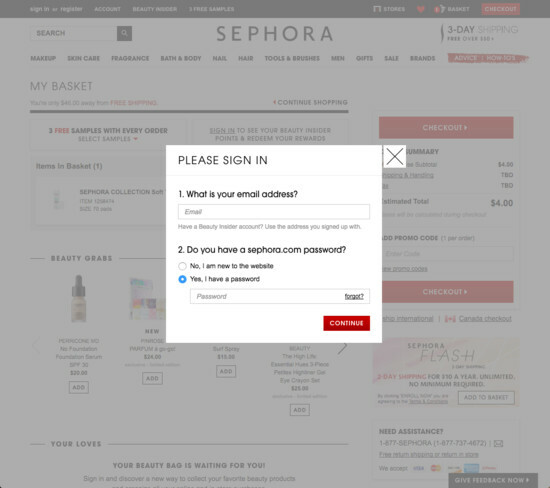 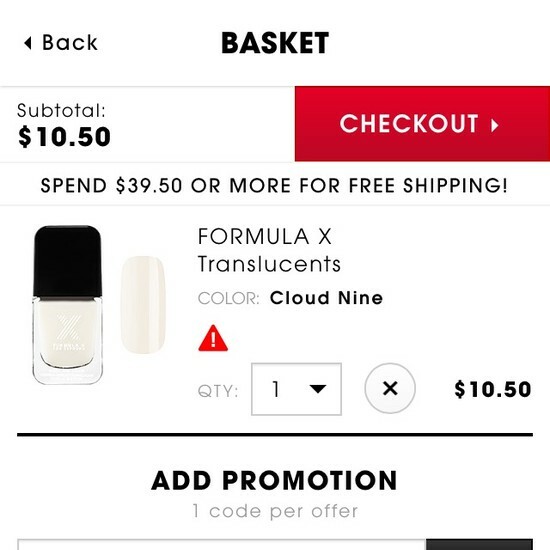 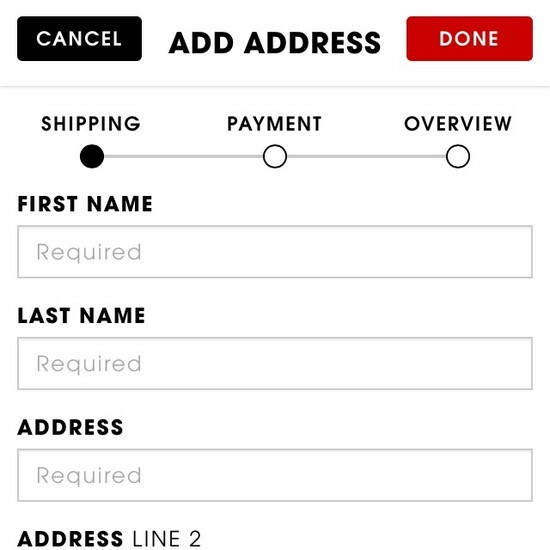 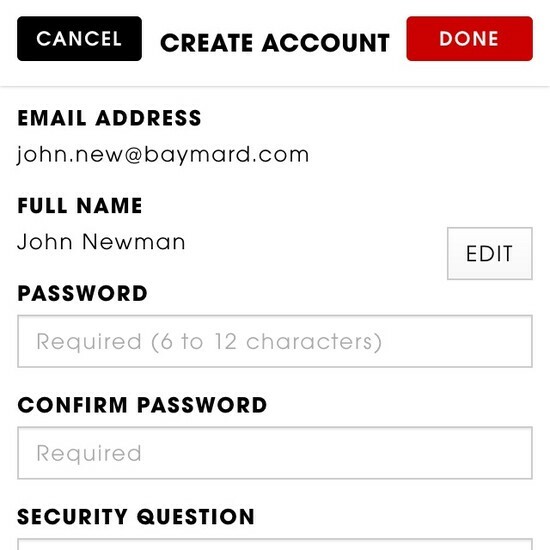 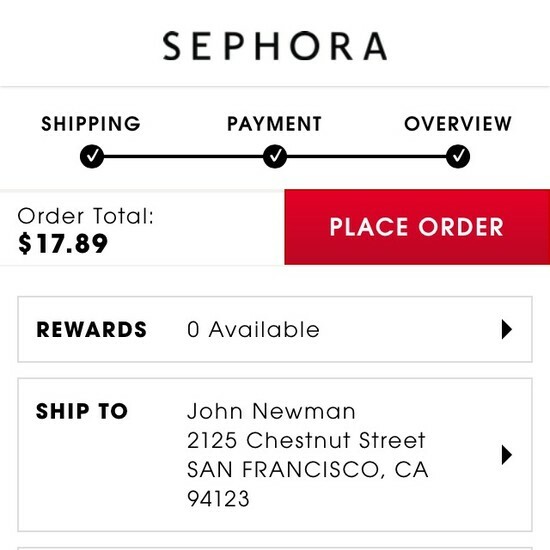 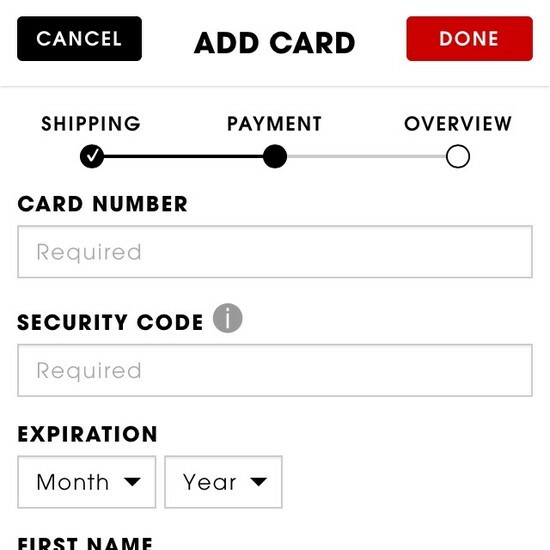 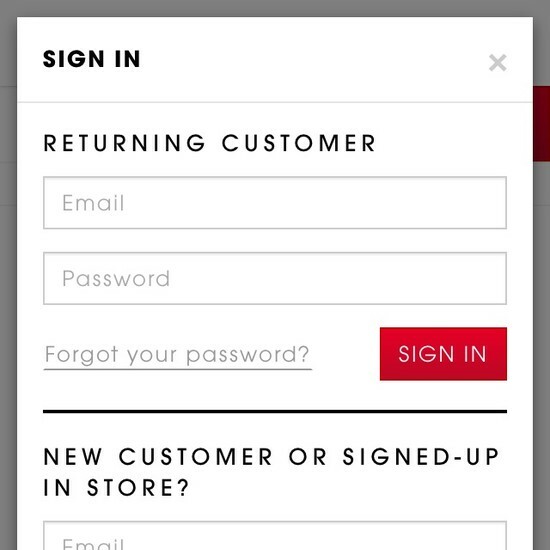 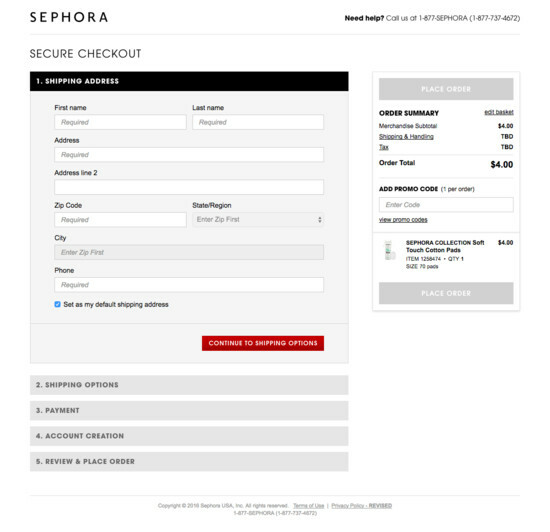 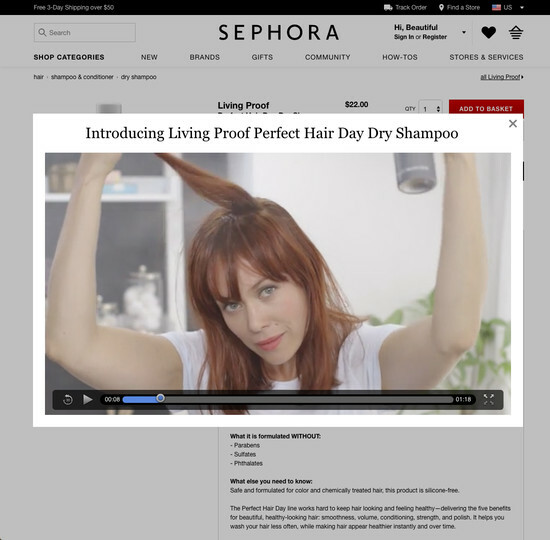 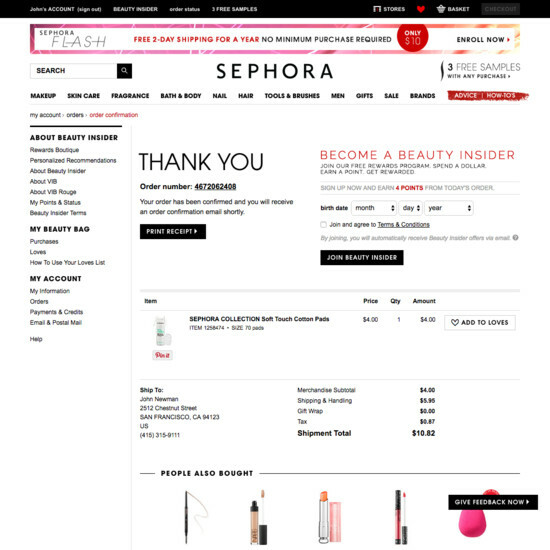 Sephora’s overall e-commerce UX performance is acceptable. 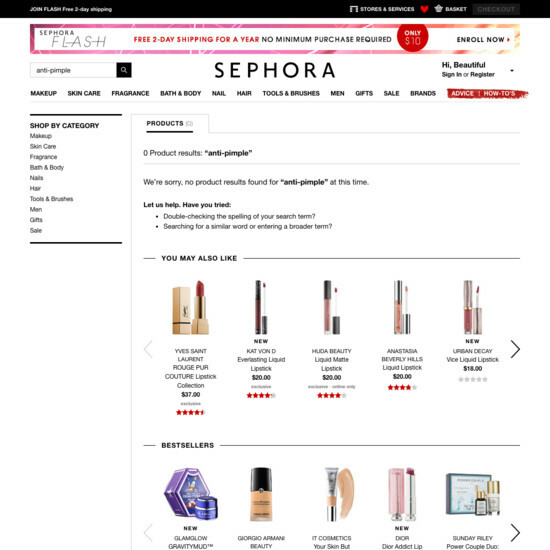 On a positive note, Sephora has decent Homepage & Category. 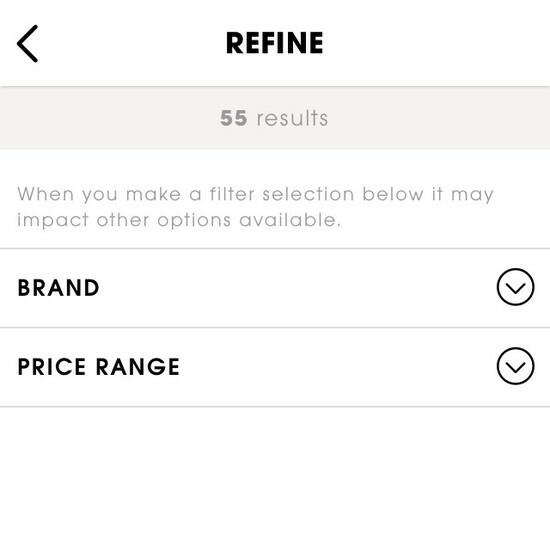 This is, however, curtailed by poor On-Site Search performance. 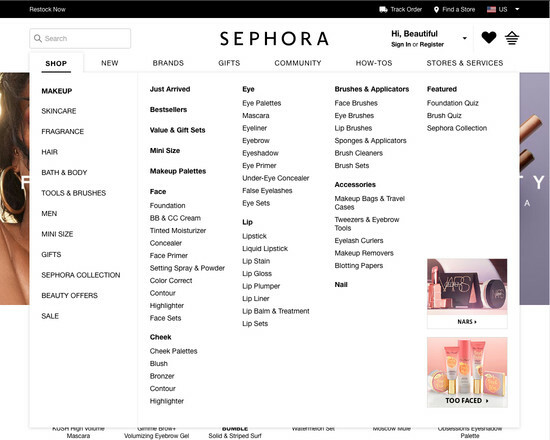 Sephora’s Homepage & Category performance is decent. 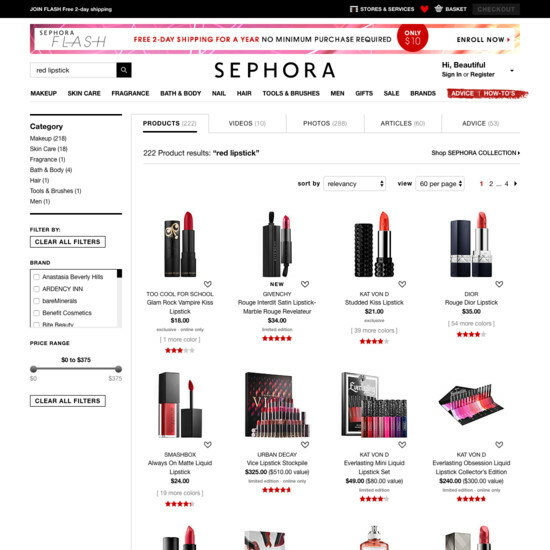 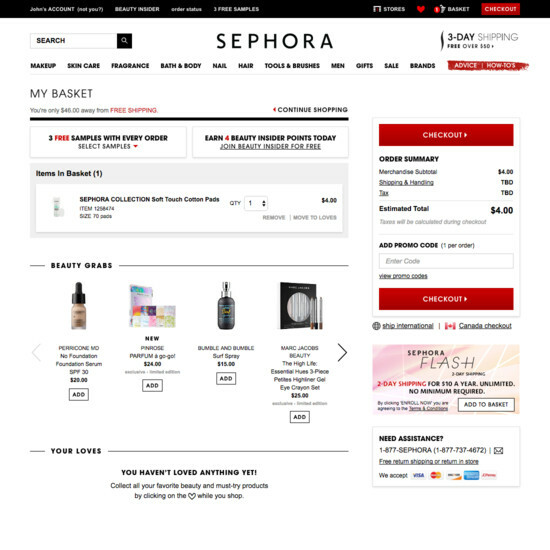 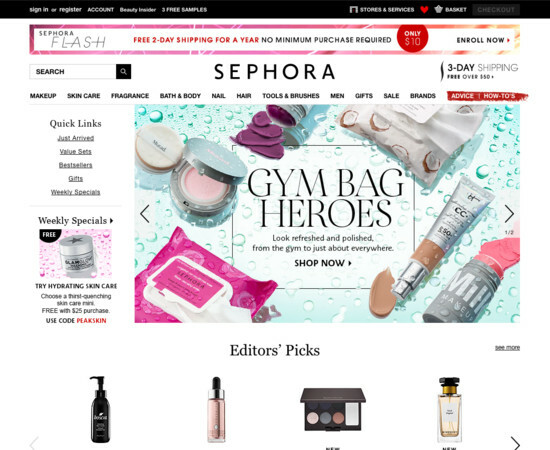 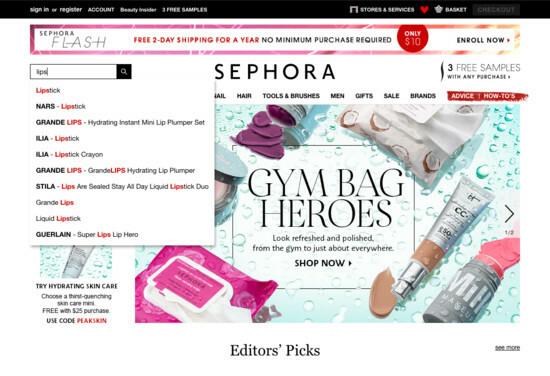 It is especially a state of the art Site-Wide Layout and decent Category Taxonomy that helps Sephora’s category UX. 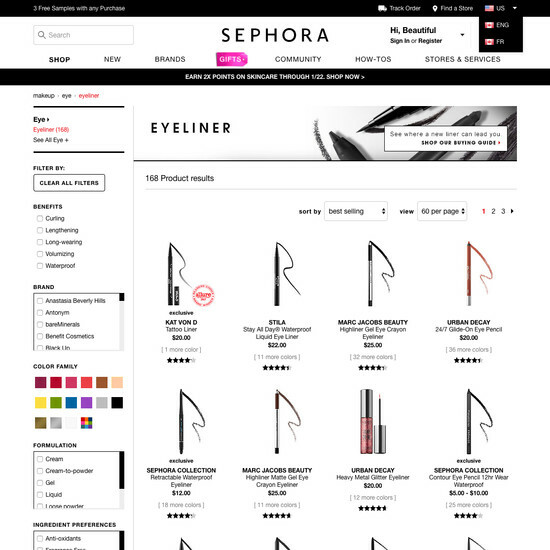 Do, however, watch out for their poor Intermediary Category Pages performance. 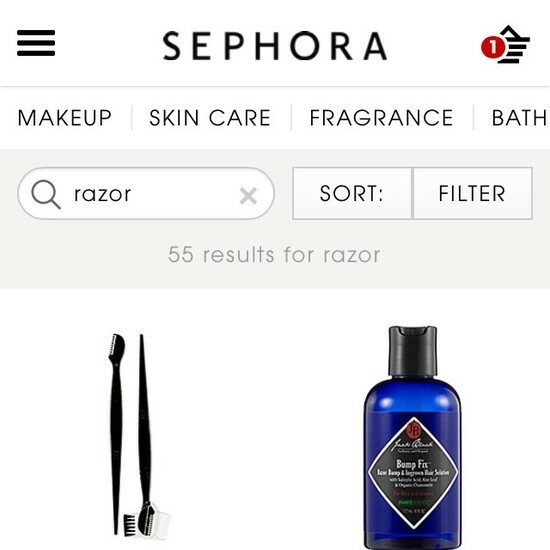 Sephora’s On-Site Search performance is poor. 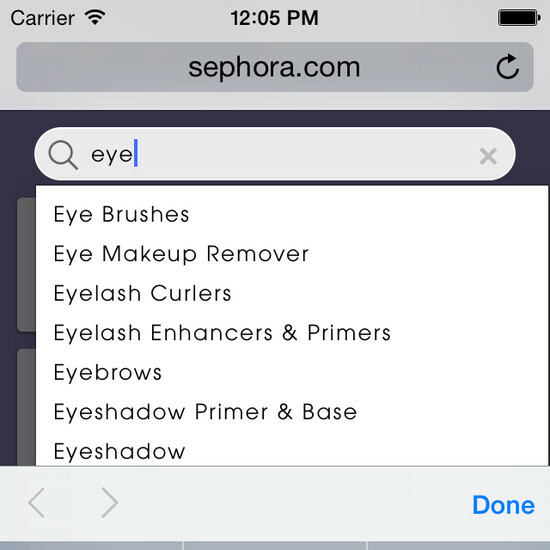 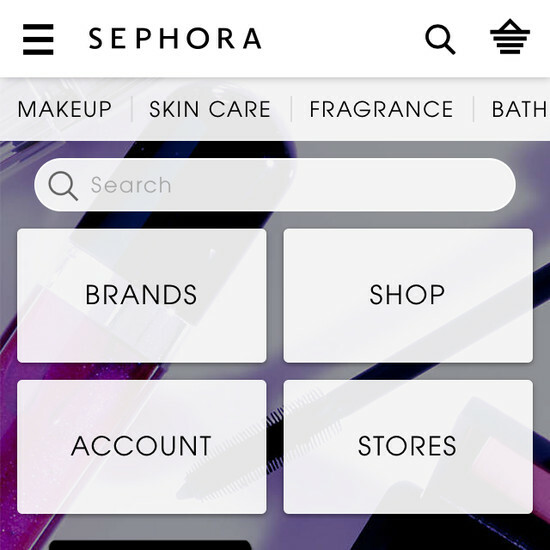 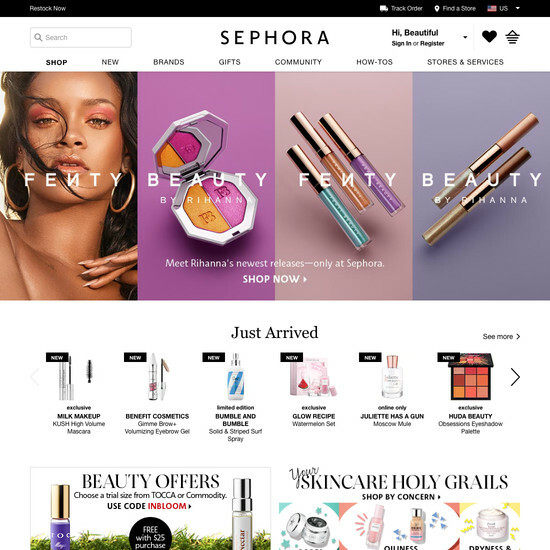 Some of Sephora’s biggest on-site search usability issues are due to mediocre Results Layout & Filtering, mediocre Results Logic & Guidance, and broken Search Form & Logic. 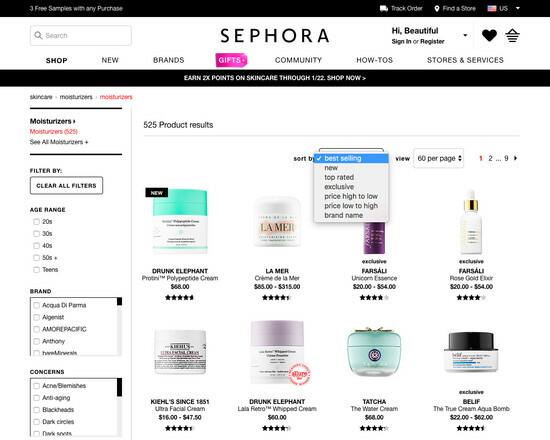 Sephora’s Product Lists & Filtering performance is acceptable. 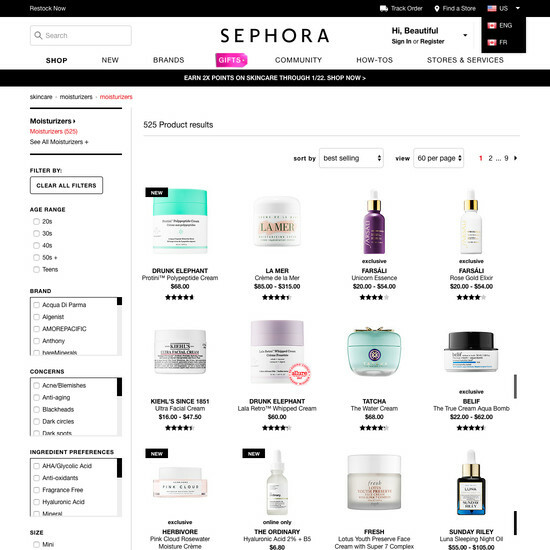 Notably, Sephora’s product list performance is hampered by broken Sorting and Filtering: Interface & Layout, although this is helped somewhat by good Comparison Tool and decent Filtering: Scope & Logic. 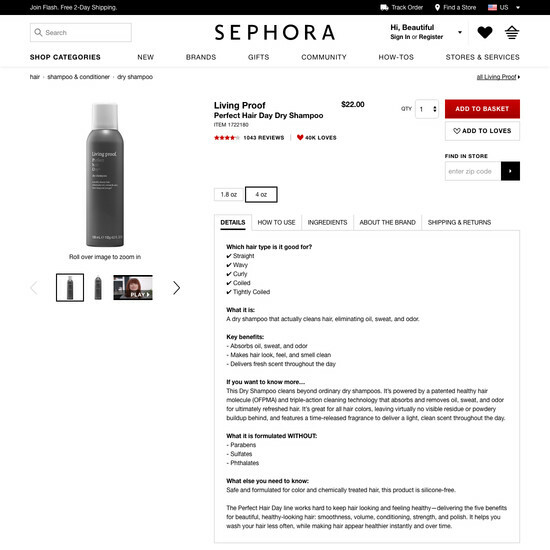 Sephora’s Product Page performance is mediocre. 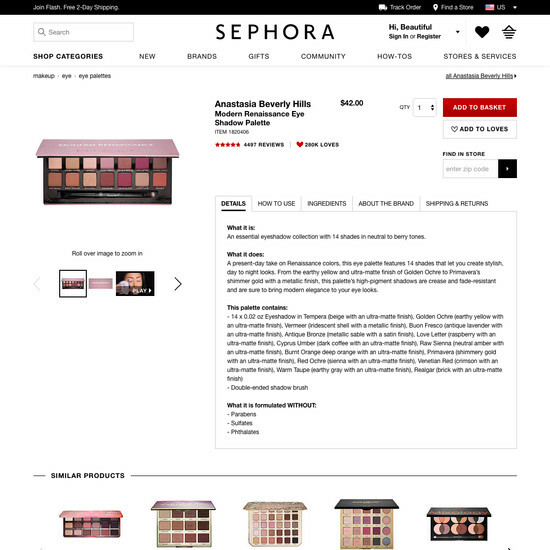 Notably, Sephora’s product page performance is hampered by mediocre Product Images and Specifications Sheet, although this is helped somewhat by good Product Variations and decent Image Gallery UI. 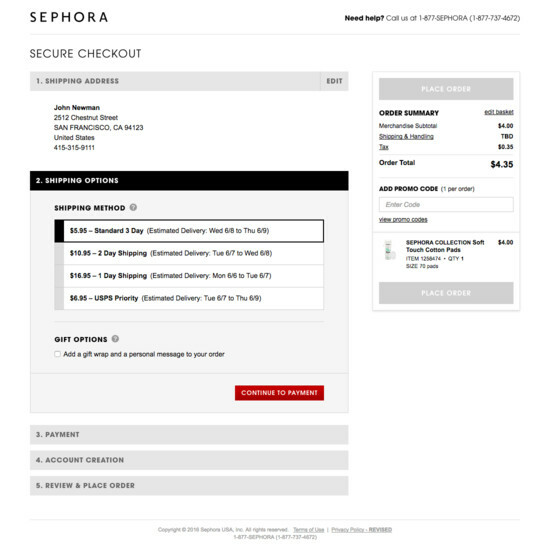 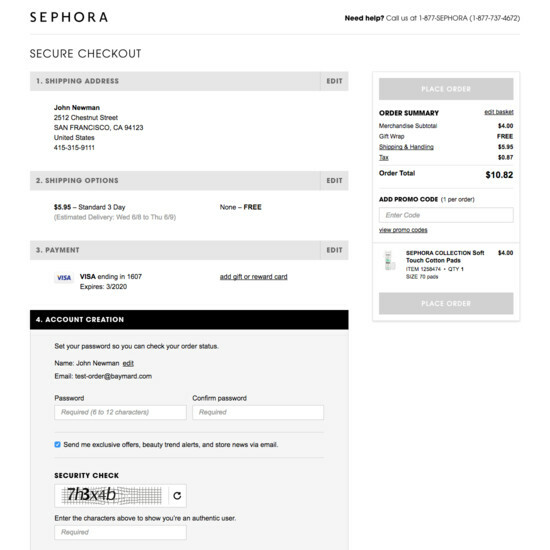 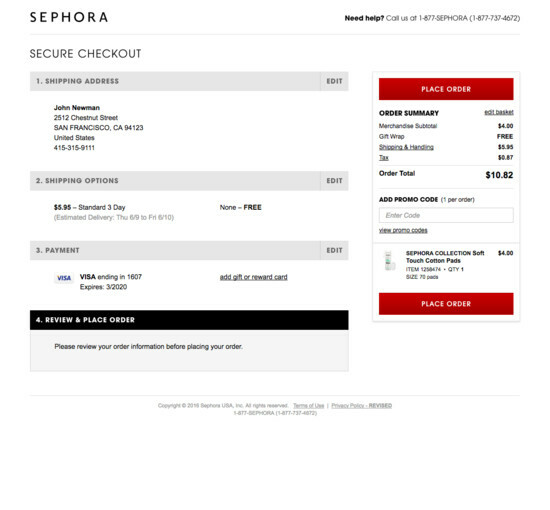 Sephora’s Cart & Checkout performance is decent. 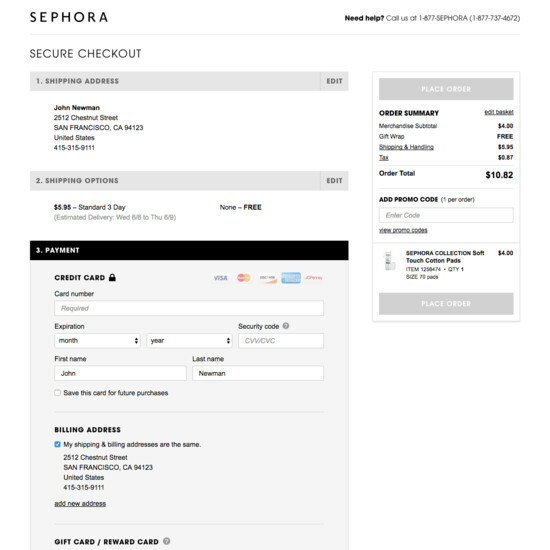 For instance, Sephora’s checkout has state of the art User Interactions & Distractions and Default Values & Autocompletion yet suffers from mediocre Credit Card Form and broken Account Selection & Creation. 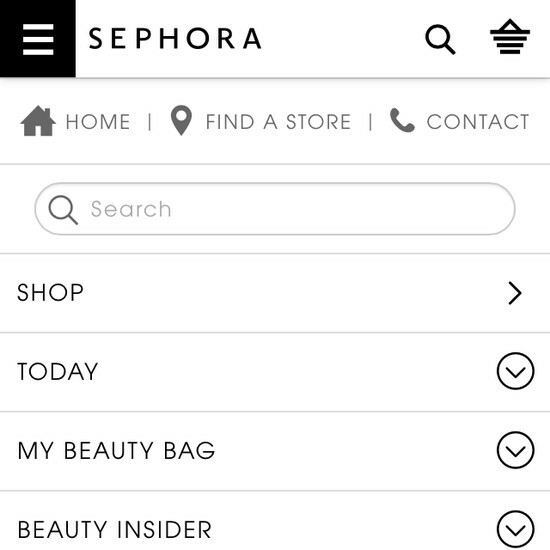 Sephora’s Mobile E-Commerce performance is acceptable. 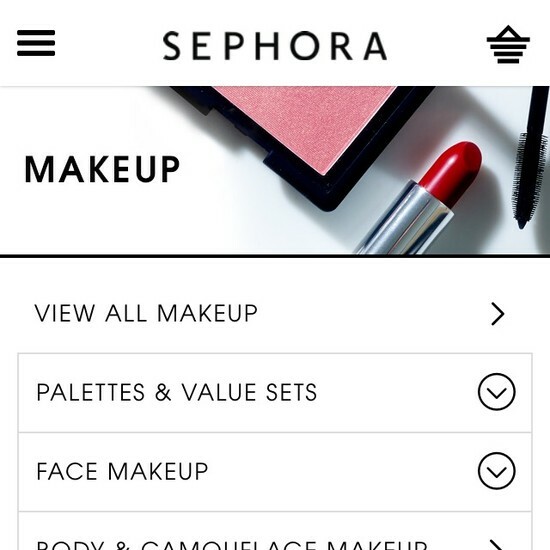 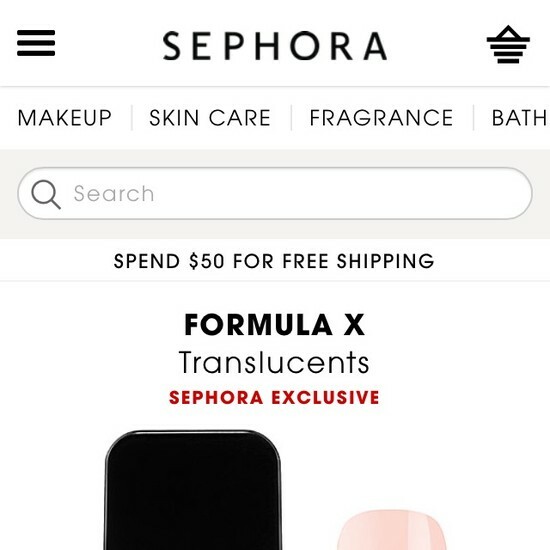 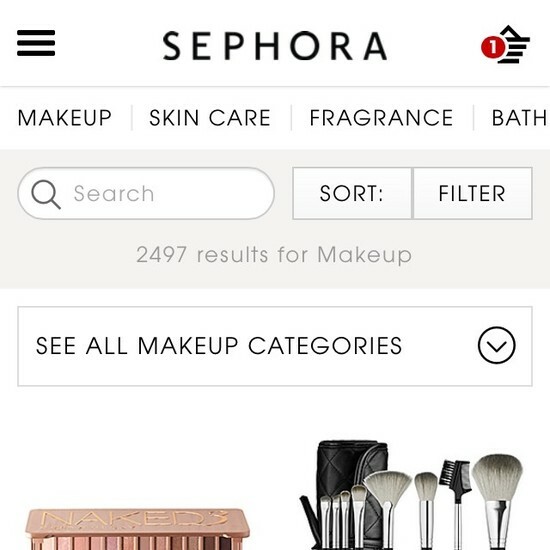 Notably, Sephora’s mobile performance is hampered by mediocre Mobile Homepage, Navigation, & Search and broken Mobile Product Page Layouts, although this is helped somewhat by state of the art Mobile Form Field Usability and good Mobile Checkout Information. 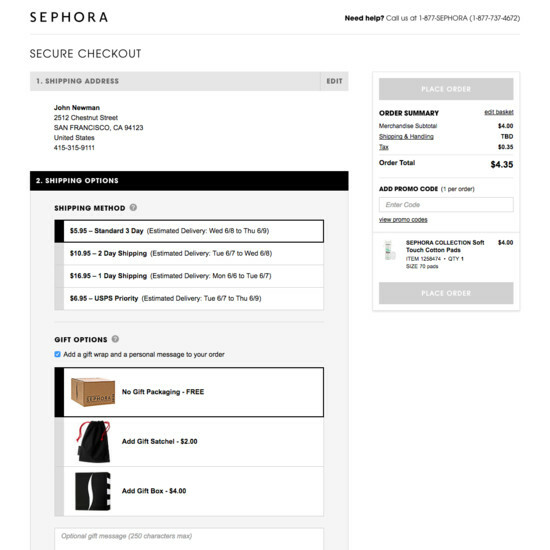 Premium also shows you why Sephora and 59 other top e-commerce sites perform as they do, and allow you to self-audit your own sites to see how your UX performance stacks up against theirs — learn more. 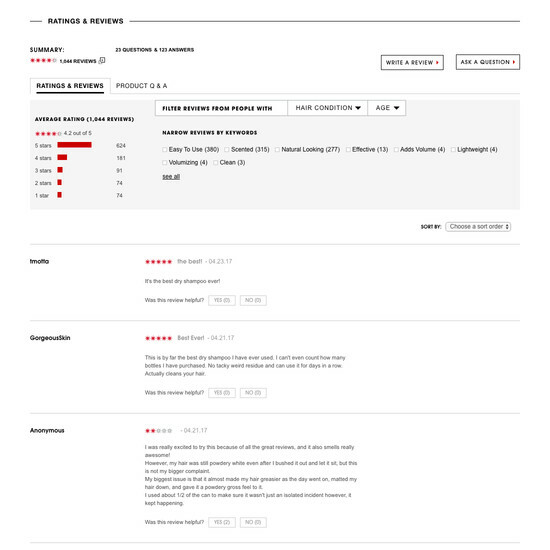 All 60 sites were benchmarked across the 610 guidelines. 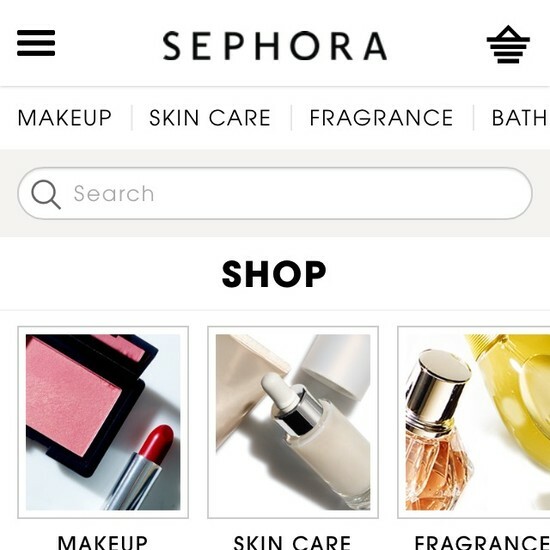 During our evaluation, Sephora’s e-commerce site adhered to 342 usability guidelines, violated 213, and scored neutral on 87 occasions, while a remaining 34 guidelines weren’t applicable. 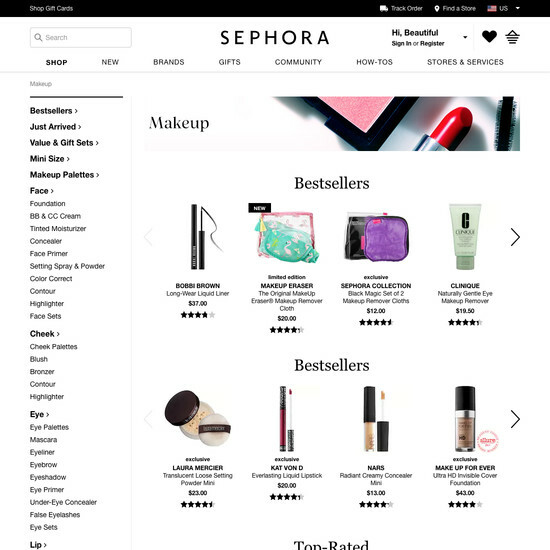 Overall Sephora ranks 22 when comparing their e-commerce UX performance against the 59 other major US e-commerce sites in the benchmark, and is the best performing site in the Health & Beauty industry.